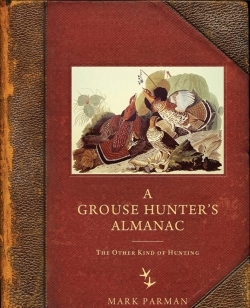 Aldo Leopold, a patriarch of the Land Ethic, noted in A Sand County Almanac, “There are two kinds of hunting: ordinary hunting, and ruffed-grouse hunting.” Mark Parman, a lifelong hunter and resident of northern Wisconsin, picks up at the end of that sentence in A Grouse Hunter’s Almanac: The Other Kind of Hunting. He gives us a glimpse of what it is like to hunt not to conquer nature, but to participate in it, as Leopold advocated. Far from the educational atmosphere of a primer, the book feels more like an intimate journey through grouse hunting season with the author, as he travels from the lush leaf cover of alder woods in the late summer through the snowy months of winter. Readers learn much along the way about the land where Parman hunts, the dogs that accompany him, and the practices and attitudes of hunters he encounters. Hunters often straddle the divide between conservationists and advocates for utilizing nature. The author thoughtfully walks this line throughout the book, noting that, “doing our own killing, cleaning, and cooking of that meat seems an honest approach in a culture where most of the killing is done for us behind walls in factories so we remain willfully ignorant…While Grouse hunting I participate directly in the food chains.” In fact, environmental activists advocate for this type of direct relationship with food sources as a counterbalance to our global, corporate food systems. At times, Parman challenges the environmentalist reader with perspectives that can come only from someone intimately acquainted with his local landscape. For example, he says small-scale clear-cutting supports robust Grouse populations and other flora and fauna, mimicking the ancient wildfires that would burn away old trees. On the other hand, hunters not particularly concerned with environmental issues may be equally challenged by the author, who advocates judging his successes not by the number of prey he’s killed, but by his ability to follow an ethic of care for the woods and fairness to his prey. Parman writes with the deep knowledge of his craft, and a refreshingly mature treatment of his readers: he does not spoon-feed definitions and how-to lessons. Instead we learn as we move through the hunt with the master hunter and the dog, feeling the woods, picking up the language of hunting, and in the end, somehow knowing the forests of Wisconsin better than we may even know our own backyard.